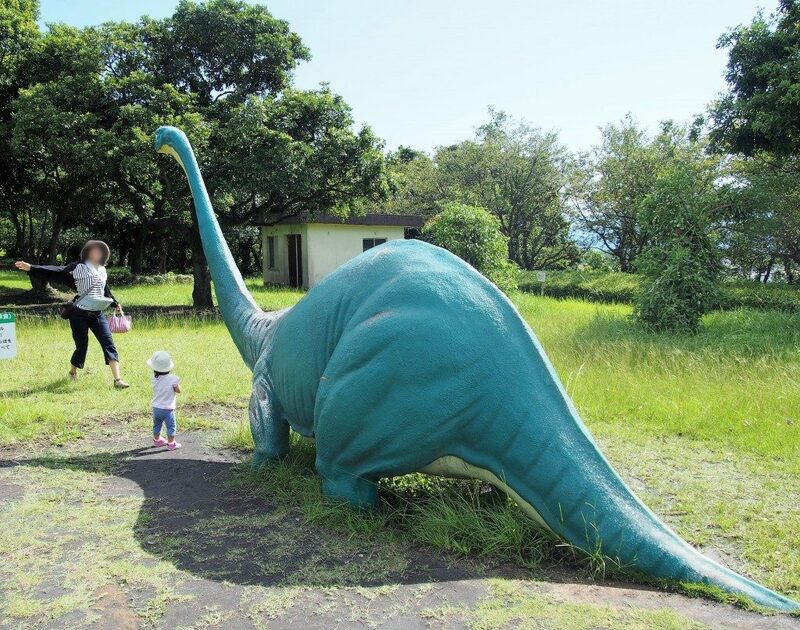 Sakurajima Nature Dinosaur Park – Nice Place for Family Travelers with Small Children – | Kagoshima Love! 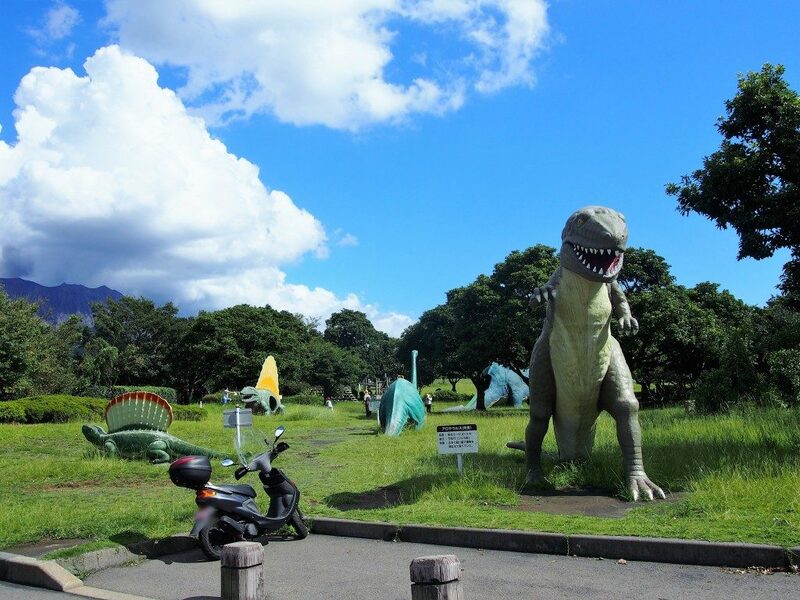 Do you know the park with many dinosaurs at Sakurajima? It is nice to have a relaxing time at the skirt of Sakurajima. 1 Time Trael to Anscient Era? 2 Wonderful Scenery from Park! Time Trael to Anscient Era? 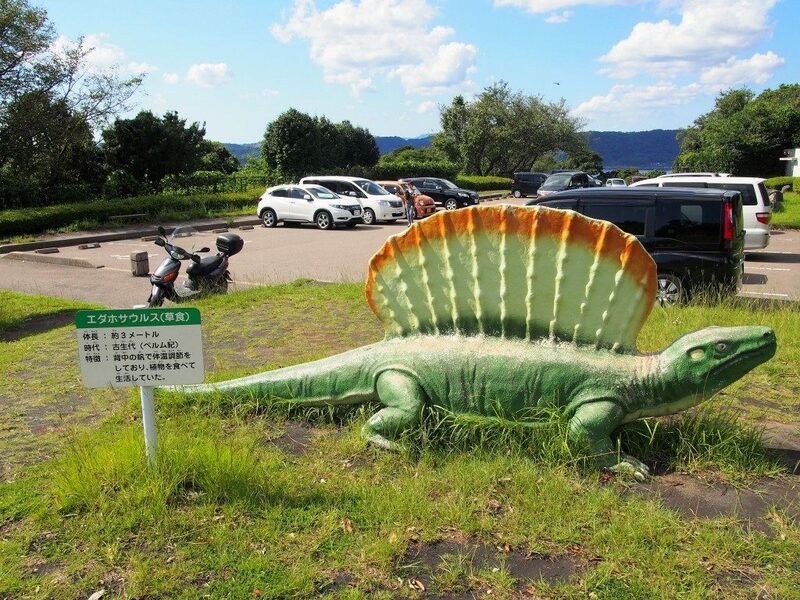 5 minutes from Sakurajima Port takes you to this interesting park of many dinosaurs. Many dinosaurs surprized our small daughter. The view from the park is very nice. When cherry blossoms are in full bloom in Spring, many local people come to the park to appreciate them. 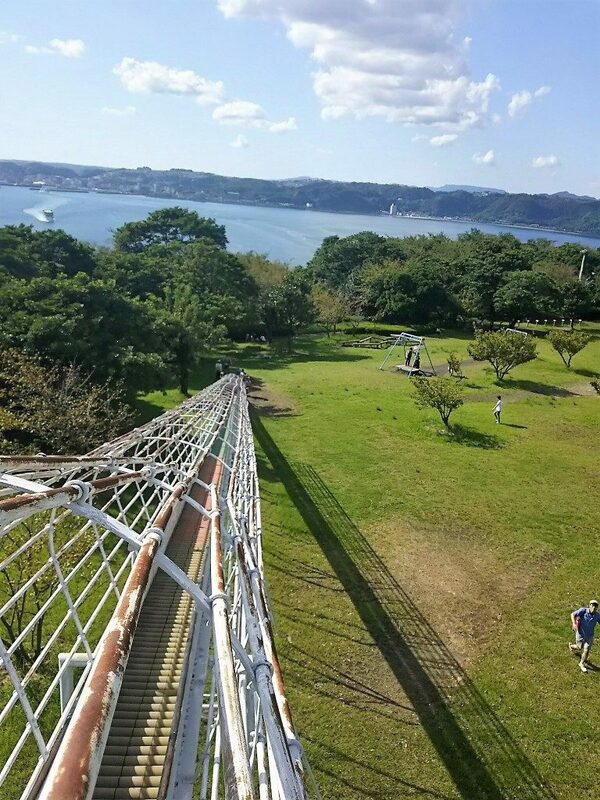 I took the following picture at the top of the slide of the park. Sakurajima Ferry is commuting between Kagoshima City and Sakurajima. 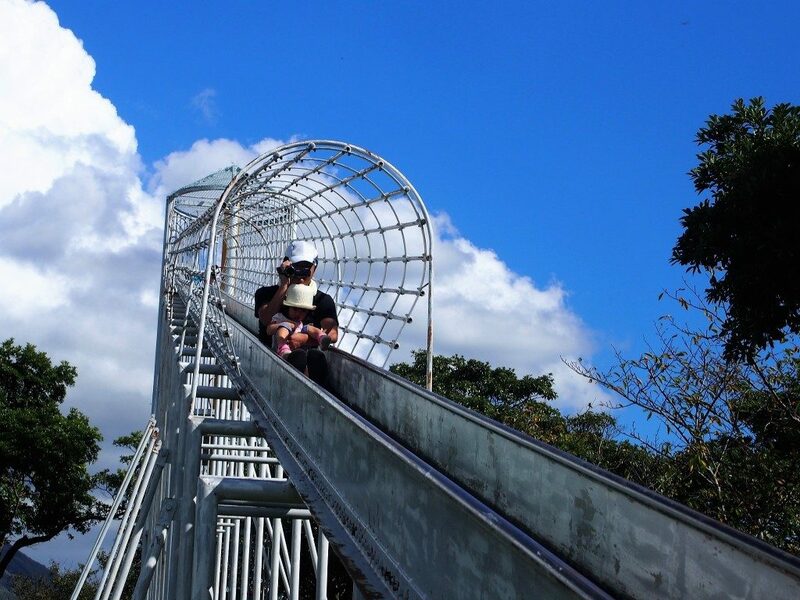 The height of the slide is 10 meter and its length is 50 meters. 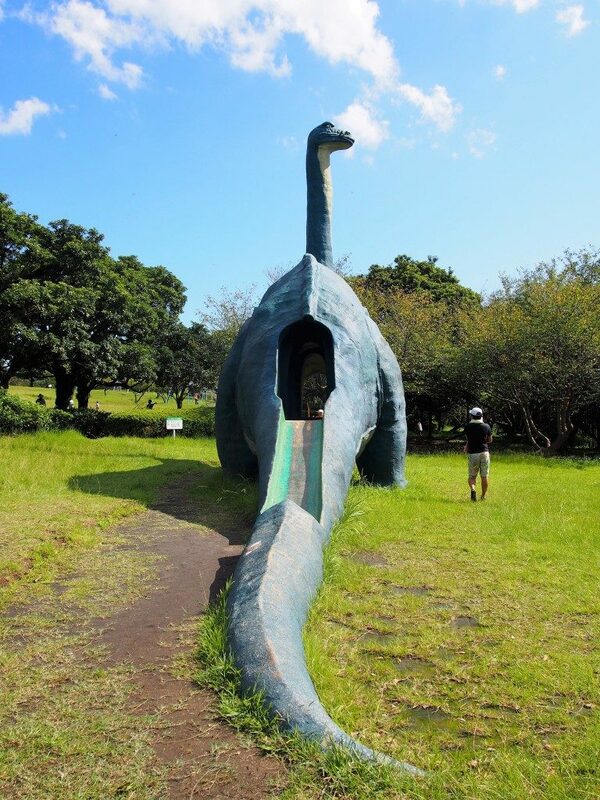 Many children enjoy this slide! 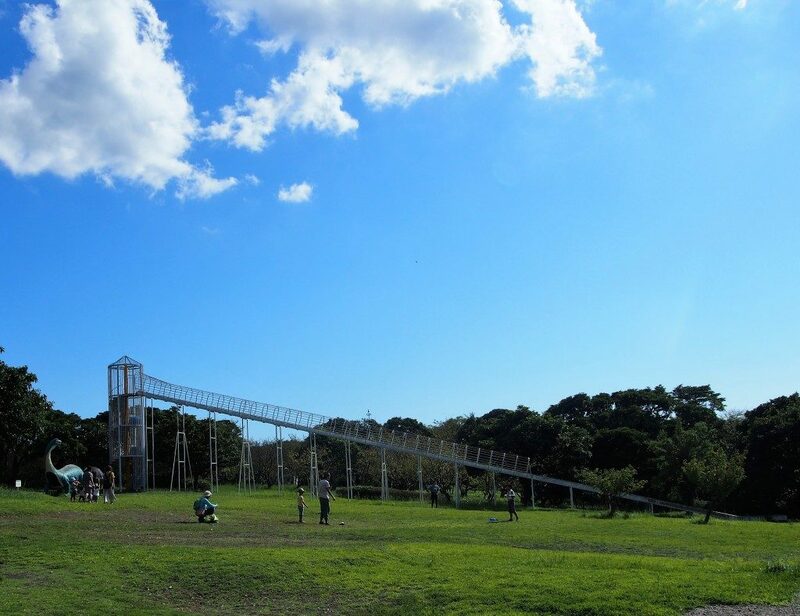 When you drive around Sakurajima area, why not come to the park and enjoy excercising? It will be nice to enjoy natural bath at Sakurajima Maguma Hot Spring. 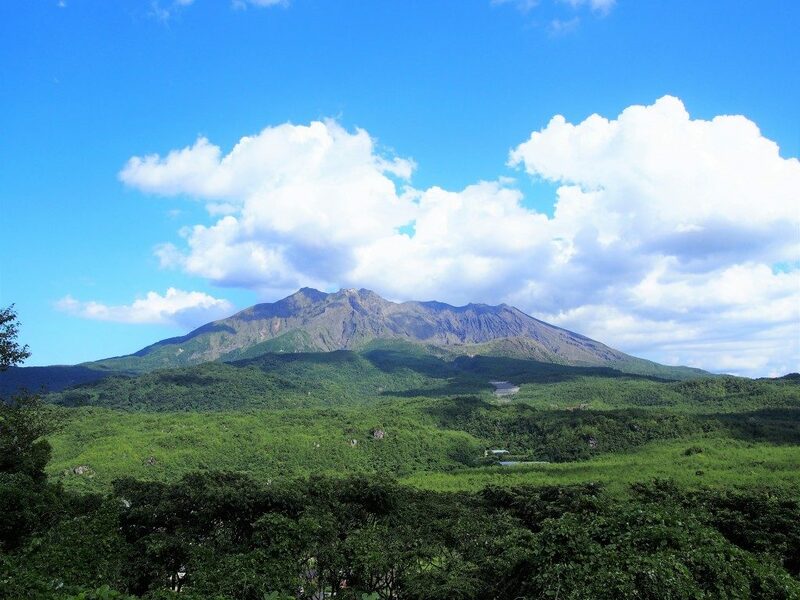 5 minutes from Sakurajima Port by Car. 10 minutes from the port by 10 minutes.